The American Fire has been burning in the steep American River canyons 17 miles northeast of Foresthill since Saturday, August 10. The blaze has consumed nearly 5,000 acres, but firefighters are starting to get some containment. Containment is estimated at 35% now. 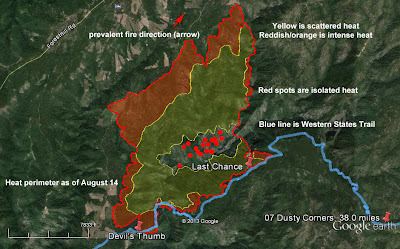 873 personnel are battling the fire that is not threatening any structures, but hikers, runners and equestrians are saddened by the fire’s passage across the Western States Trail. 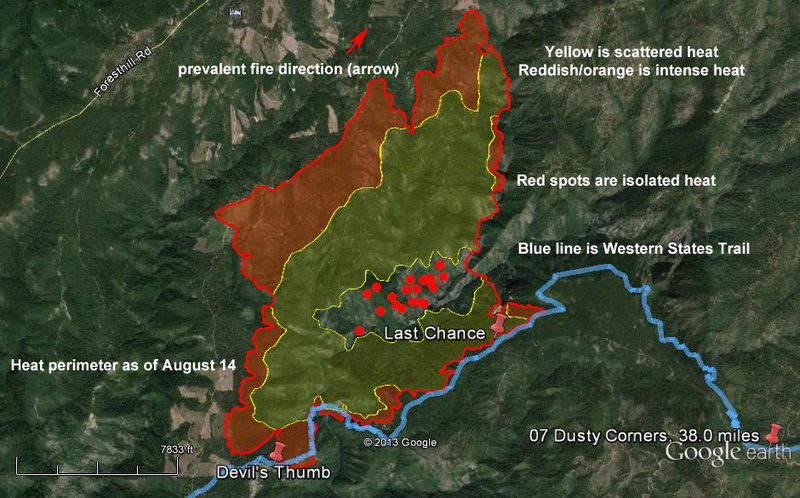 The fire has burned through the areas of Last Chance, Devil’s Thumb and Deadwood. These areas are the midpoint of the famous 100 mile endurance run and Tevis Cup horse race. Smoke from the fire is significant in the Sierra Foothills, Truckee, North Lake Tahoe and Reno/Sparks. 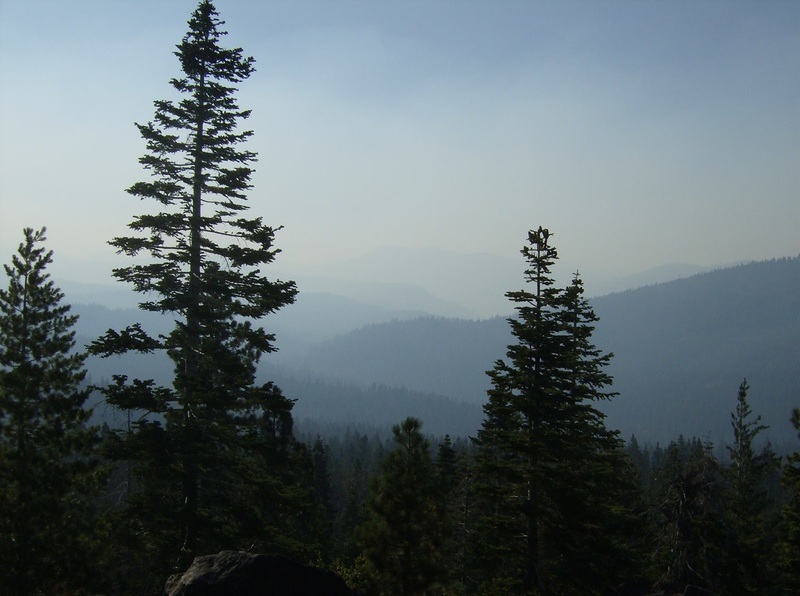 Placer County Department of Public Health issued an air quality advisory that is still in effect. “In general, if you can see or smell smoke, try to avoid all unnecessary outdoor activities”. The major concern is fine particular matter that may cause coughing, watery and itchy eyes, scratchy throat, and difficulty breathing. The latest information on the American Fire can be found at InciWeb, an incident information website.